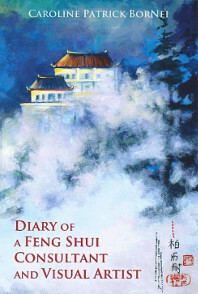 Diary of a Feng Shui Consultant and Visual Artist is a summary of consultations from my early years as a practitioner and teacher of The Art of Placement. I warmly invite readers of this book to try the Feng Shui cures and enhancements for their own benefit; and, I give tribute to His Holiness Grandmaster Lin Yun Rinpoche who recognized me and gave me back my life in ways never imagined. Enjoy these recordings and adventures! My personal journey to becoming a Feng Shui master. How I use Feng Shui solutions for clients’ difficult problems in an easy to understand manner. How the power of color transforms people and homes and why? Samples of artwork I created for each section or Gua with hidden or transcendental messages within the painting. Harness and focus the natural Chi of your environment for your needs. Bring you more wealth, and increase your influence in the world. Summon a feeling of peace and safety from conflict within your home.